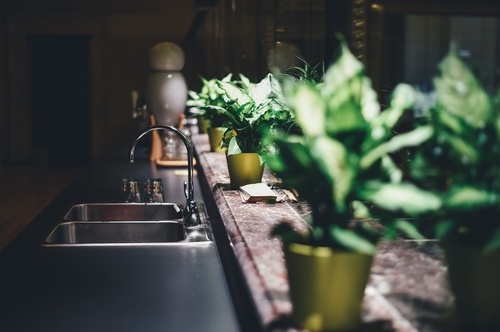 Your kitchen and bathroom countertops play an important role in the appearance of your home. 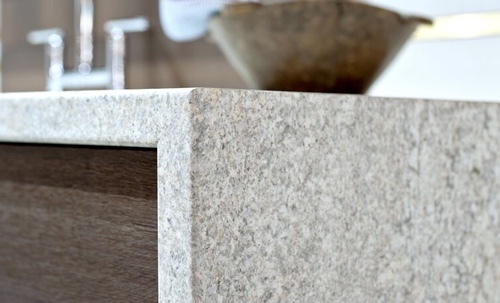 While decor and furnishing create a personal touch, countertops are a leading guide for the direction of the design. How does one go about choosing the best style for their project, though? Below you will find a list of all the major styles of countertops. We’ve listed out some pros and cons, as well as some general information such as pricing and materials. If you are in the process of picking your countertop and aren’t sure which would be the best, we are here to help. 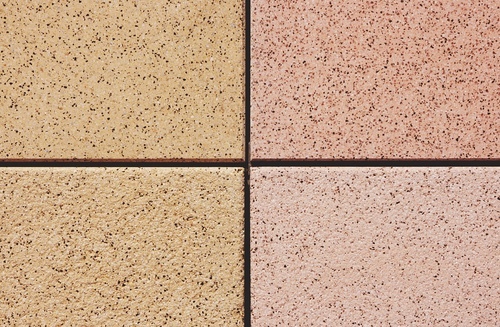 There are a variety of types of natural stone, such as marble, granite, slate, soapstone, limestone, and Jerusalem. Each has its own unique qualities to it, and there’s nothing more original than the natural design of stone. It is nature’s work of art since no two slabs are exactly alike. Because of the variety of types of stone, each one also comes with its own need for maintenance as well as their own quirks; good and bad. Let’s look at a couple of the popular selections and see what’s great and what’s not-so-great about them. Marble is a well-loved choice for the avid baker due to the coolness of the material. For cleaning, you’ll want to use liquid detergent and water, and you will want to seal it at least annually. The pricing usually ranges from $125-$250 per square foot. 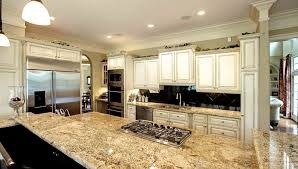 Another beautiful and unique choice, granite tends to be stronger and more durable than marble. Keep in mind it still needs to be sealed and resealed at least annually to prevent wear and staining. Pricing is generally between $100-$250 per square foot. 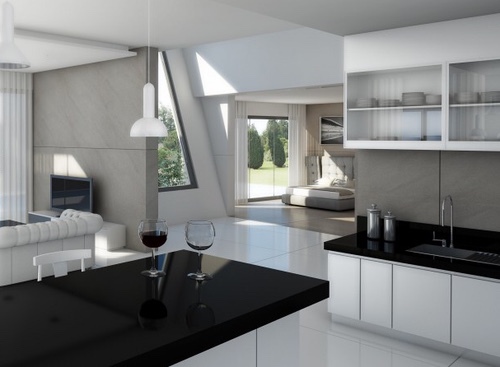 Quartz is a newer style of manufactured countertops. 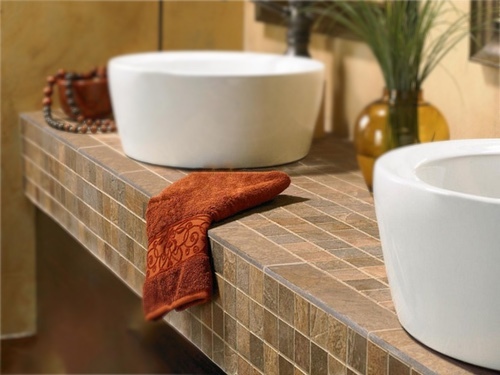 It has a very modern and contemporary style to it, and blends well in the kitchen or bathroom. While it holds a similar appearance to some natural stone, it does not come with some of the same cons. 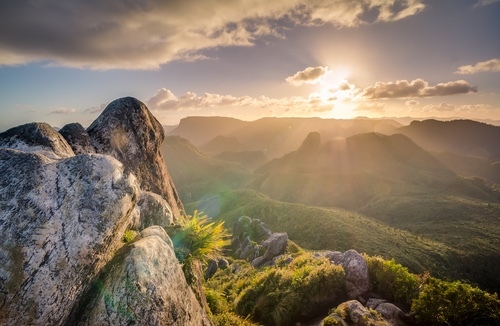 Check out Norm’s Bargain Barn for further countertop images and types, as well as some interesting information on each type. 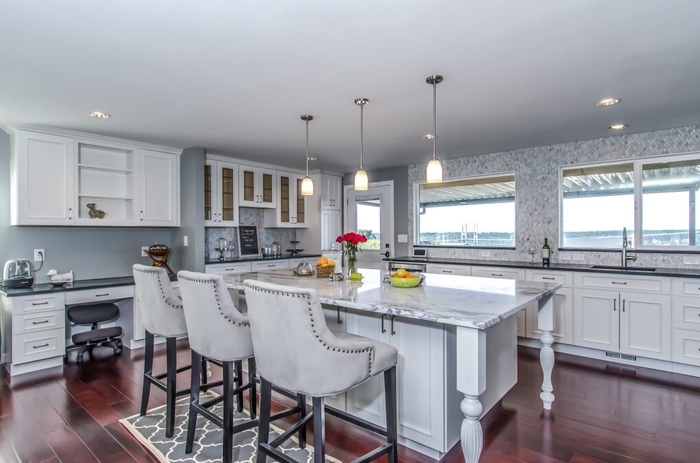 The price for quartz will usually be between $115-$200 per square foot. Laminate is an inexpensive option for your kitchen or bathroom, and still looks clean and modern. It became popular in the 1950’s and 60’s and has stuck with us since. Laminate solicor is a ½” thick surface consisting of multiple layers of laminate. It was created to get rid of the visible laminate seam on the edges. It looks more like Quartz or Stone but limited to ½” thickness. invented with a solid-colored core in order to eliminate the brown line created by the seam. Laminate quotes are usually between $15-$60 per square foot. 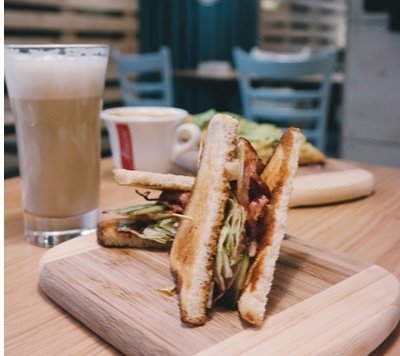 Wooden countertops are beautiful, natural, and warm. They fit with just about any style, whether you’re going for a more classic appearance or still want a modern kitchen or bathroom. Beauty comes with a price, however. Generally $40-$150 per square foot. 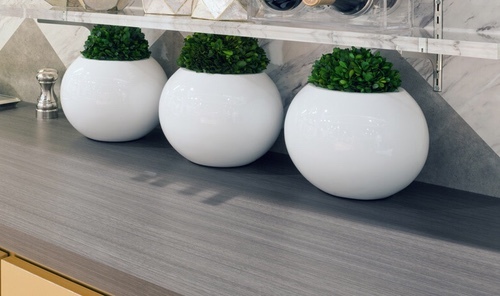 A newer style of countertop, Dekton is composed of quartz, porcelain, and glass, and created to be durable and stylish. Pricing ranges from $40-$130 generally. 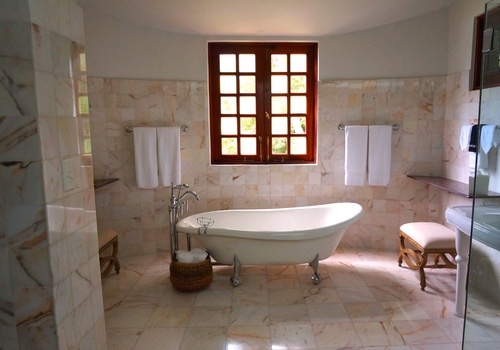 Tile can lend a very elegant and lovely appearance to your space. It is a classic style, and if installed correctly will cause your kitchen or bathroom to shine. Pricing is usually pretty cheap for tile, but can range in a variety depending on the style you go for. Generally you’re looking at as low as $2 per square foot and as high as $150. 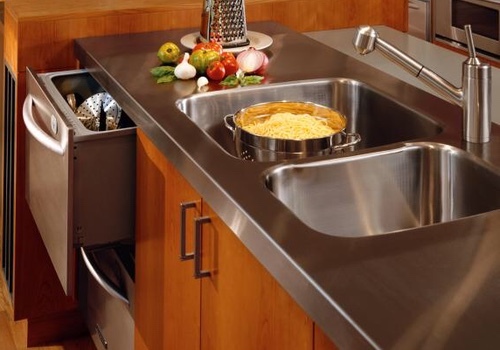 Stainless steel is a modern and trendy style. Many restaurants use them for their near-indestructibility. Pricing range from $100-$300 per square foot on average. 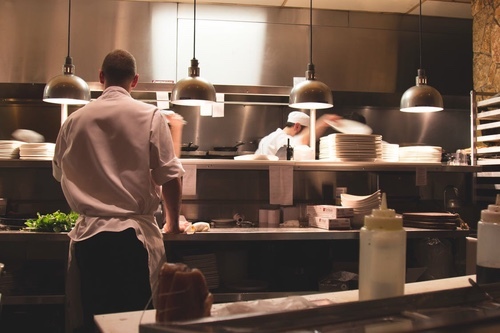 The image below is of a popular trend in kitchens. It’s known as the waterfall edge, and can be done with all traditional types of countertop materials. 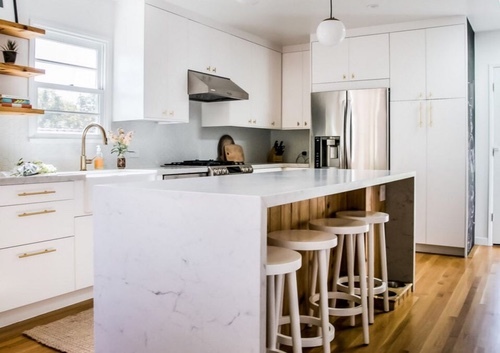 Whether you are building a house, redoing your counters, or replacing the countertops of a fixer-upper, there are countless varieties of styles out there to choose from. Each style is beautiful and unique, and there is something out there for every type of person. What is your preference? Did this article help you to decide on a style? 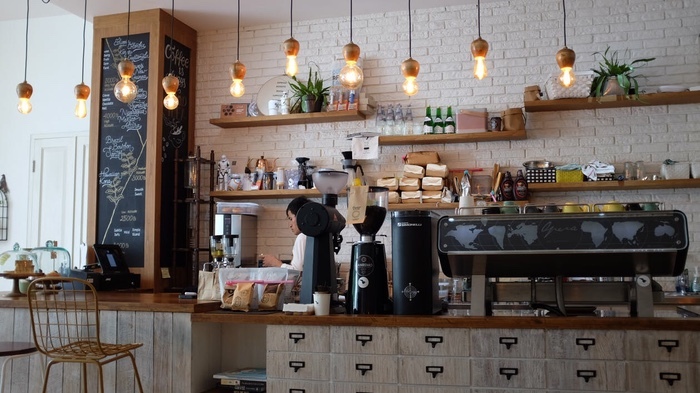 Leave us a comment about your favorite style of counter, or feel free to ask us any questions you might have. 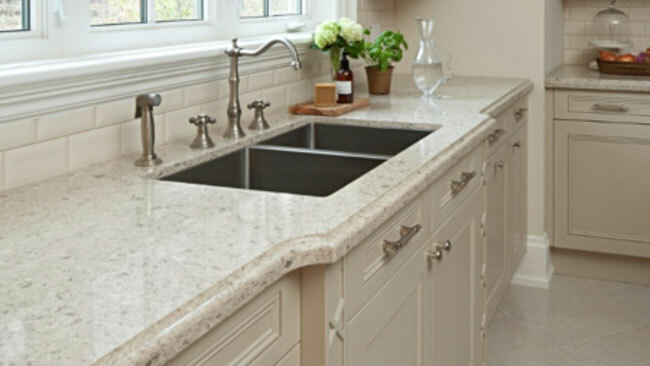 I do like it when you said that granite is a rather beautiful and unique choice for a countertop and that it is more durable than marble and is heat and stain-resistant. If that is true, then I will suggest this to my parents for when they get the kitchen remodeled next month. They want to replace the countertop with something stronger and prettier, and I do think that granite fits the description. Though the final decision is theirs to make. Thanks! 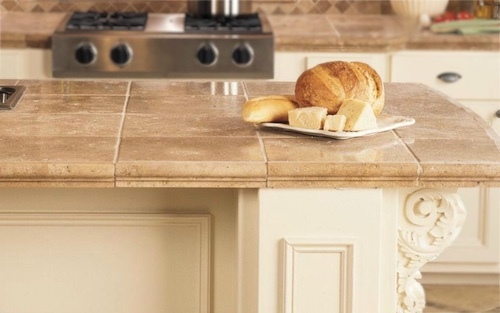 It sure felt great when you said that natural stone countertops are good options since they all have their unique qualities but are all very original and artistic. I will be sure to mention this to my sister for when she gets her old countertop replaced. It is better if she starts considering natural stone since beauty is all she’s after when it comes to her house. Thank you. Thanks for helping me understand that the granite countertop needs to be sealed and resealed to keep it from getting worn out and having stains. I will keep this in mind since I will be choosing this material when I get a countertop constructed in my kitchen. I just need to extend that part of the original one in my house because I have bought additional appliances which I don’t have anywhere else to place it.